We provide an essential HR role for employers who simply do not have the resources to have a HR department or an invaluable backup to those organisations that do. Speak to us for a fixed fee HR retainer quote. We offer in house training in relation to Employment Law and Practice in an easy to understand format. We can also provide outplacement services where needed. Employment law is forever changing due to the vast amount of cases that proceed through the Tribunals both in the Channel Islands and the UK. It is essential to be up to date but also confident in the issues that need to be handled. It is essential to be up to date but also confident in the issues that need to be handled. 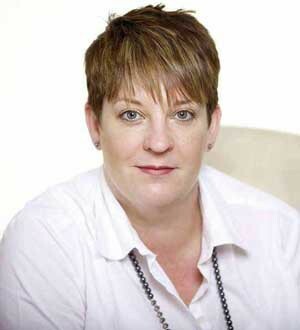 Our Employment Law specialist, Lindsay Edwards-Thatcher is an English solicitor who qualified in 1999. Since 2002 she has worked in private practice in Jersey and for over five years has provided specialist contentious and non contentious employment advice to various institutions in Jersey. Lindsay successfully represented a client in the first Employment tribunal in Jersey and has frequently represented employers in tribunal over the years. To compliment her contentious experience Lindsay is an ADR accredited mediator. Healthy workers will increase your Employment engagement and reduce absenteeism. In turn this will help you deal with any potential disability discrimination. From drug/alcohol use through to depression/ stress in the workplace or mental ill health it is essential that you as the Employer have a wellness program to deal with such circumstances.